Vincent Van Gogh was a major Post-Impressionist painter. He developed a painting style that built on the Impressionists’ methods but featured changes. His art showed more emotion and was noted for its color and expression. Van Gogh’s paintings had a far-reaching influence on 20th century art. His output includes self-portraits, landscapes, still lifes, portraits, and paintings of cypresses, wheat fields, and sunflowers. Our painting of the week is Vincent Van Gogh’s very famous Starry Night. Vincent van Gogh is considered to be one of the greatest of painters, yet he was poor and virtually unknown throughout his life. Van Gogh once served as a minister for people in a coal mining region. His painting, The Potato Eaters, shows one of the poor coal mining families having a meal of potatoes. Van Gogh developed a passion for painting and became a full-time artist. He often chose to buy paint supplies instead of food with the little money he had. His younger brother, Theo, started supporting Vincent with money and supplies. Vincent studied painting in Paris where he met up with other Impressionist painters of the period such as Degas and Seurat. After seeing the Impressionists' paintings, he brightened his palette and loosened his brushwork. 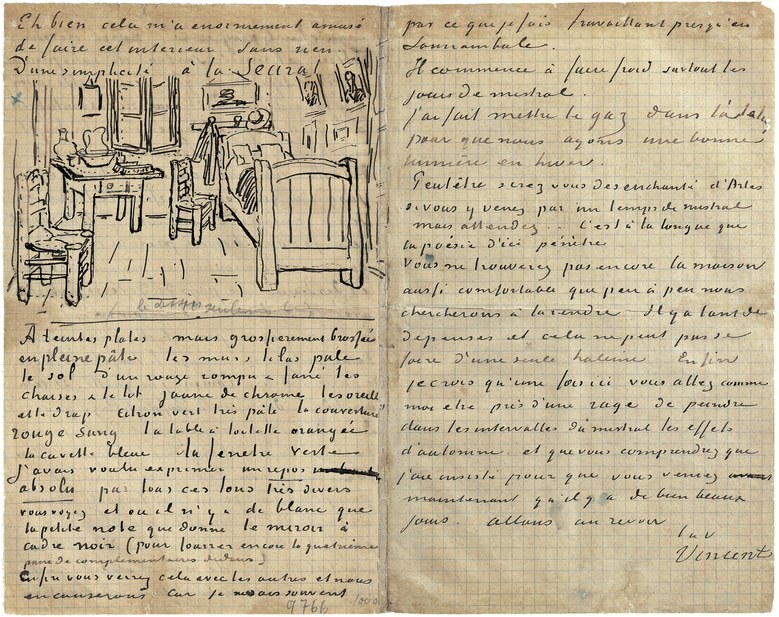 Van Gogh moved to Arles, France where he produced the majority of his paintings. While in Arles, Van Gogh painted his home (The Yellow House), townspeople, still lifes, and landscapes. Van Gogh began having problems. He developed a mental illness and had many bad times. Once he even cut off part of one of his own ears! Theo tried to help him by putting him in a mental hospital. Van Gogh continued to have mental problems but at times he was better than others, and he was still able to paint wonderful paintings. Van Gogh sadly died at age 37 from a self-inflicted wound. His artistic genius wasn’t recognized until after his death. Van Gogh created Starry Night in 1889 just thirteen months before his death while he was staying in a mental hospital. Starry Night is believed to show the view from his bedroom window. In the Starry Night painting, van Gogh's night sky is brimming with energy and it contrasts with the silent village below. The town was from his imagination and the church spire looks like one from his homeland, the Netherlands. In Starry Night, Van Gogh´s unique, thick brushstrokes are very evident. His swirling brush strokes give the impression that this painting is constantly moving. Van Gogh includes a cypress tree in The Starry Night which serves to connect earth and sky. Two other paintings by Van Gogh also included cypress trees. Van Gogh was a huge fan of nighttime, and he painted other night scenes such as Starry Night over the Rhone and Café Terrace at Night. Though it is now considered one of his masterpieces, records show that van Gogh was disappointed in the quality of this painting. Van Gogh’s The Starry Night is now located in the Museum of Modern Art in New York. It is a famous and much loved work of ark. A popular song was even written about it by Don McLean called “Vincent”. Many of Van Gogh’s early paintings featured peasants working the countryside and most had a dark, moody tone. In Paris, van Gogh first saw Impressionist art, and he was inspired by the color and light. He began using brighter colors, made his brushwork looser, and used more paint, letting how he applied the paint become part of the look he wanted. If you see a Van Gogh painting in person, you can see the very thick swirls of paint he used. He and other artists began expressing emotion through bold colors and images. Their artistic methods are known as Post-Impressionism. Van Gogh, like many artists, was influenced by Japanese art. He painted several versions of landscapes with flowers and paintings of flowers. Some flower paintings reflect his focus on the language of color, and some show his interest in Japanese ukiyo-e woodblock prints. Van Gogh completed many landscape paintings “en plein air” -- that is when an artist paints directly at the site he’s portraying. Although Van Gogh is best known for his landscapes, he also liked the challenge of painting portraits. Van Gogh created many self-portraits during his lifetime. He drew and painted himself more than 43 times. In his self-portraits he seldom is looking at the viewer. Van Gogh produced more than 2,000 oil paintings, watercolors, drawings, prints, and sketches over the course of his short ten year career. He sold just one painting during his lifetime, yet after his death his work became in demand. 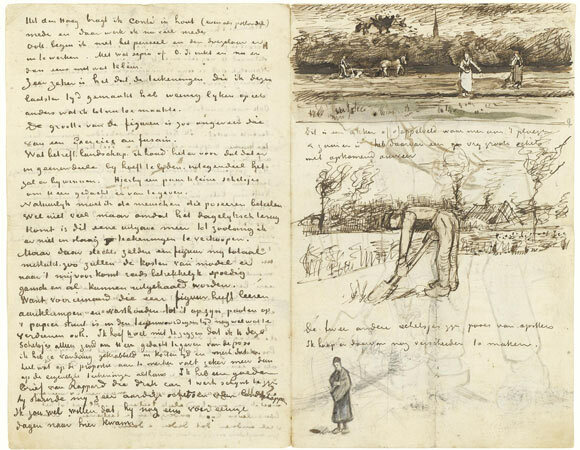 Theo was very upset after Van Gogh’s death and he himself died just six months later. Van Gogh’s art had a big impact on 20th century art. His paintings are some of the most valuable in the world and are displayed in museums in many countries. 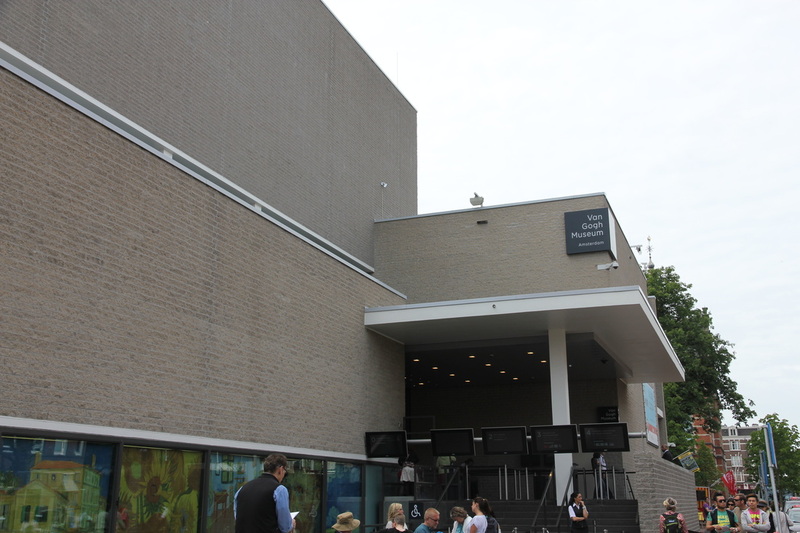 Van Gogh has a museum dedicated to him alone. This is located in Amsterdam which is in his home country of the Netherlands. Mrs. Hesse admiring irises at the Van Gogh Museum in Amsterdam. 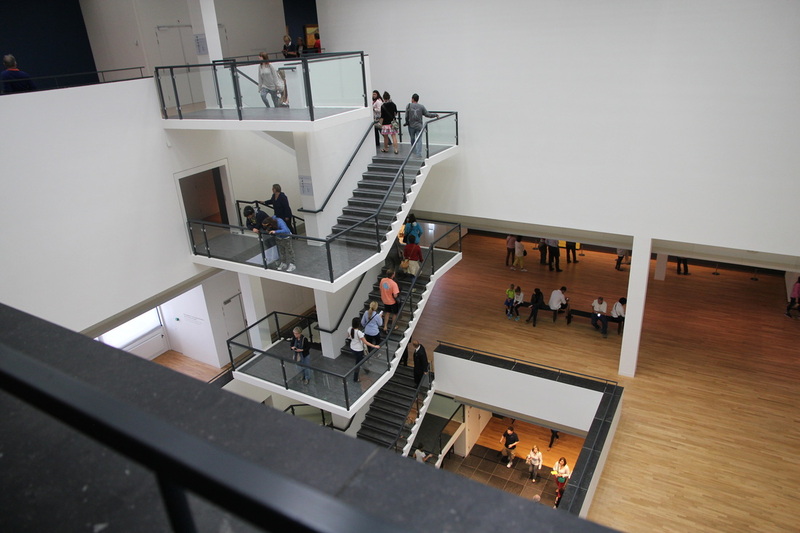 Mrs. Hurdle viewing Wheatfield With Crows in the Van Gogh Museum.